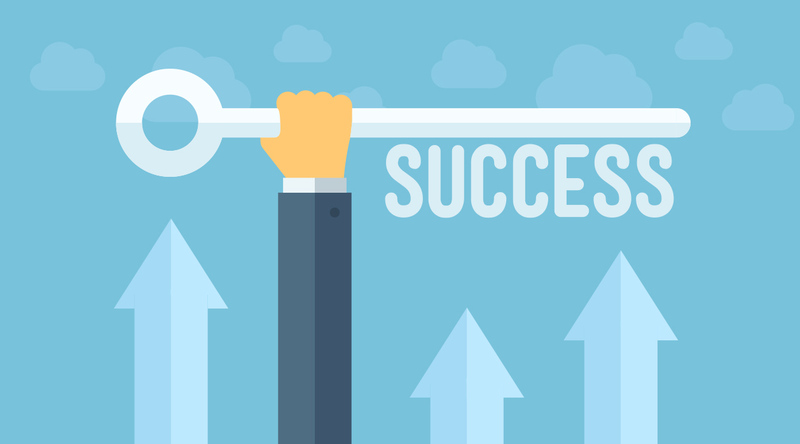 Research shows that a lack of natural talent is irrelevant to great success. The secret is painful, demanding practise and hard work. Are you willing to go after success? Do you have a clear vision? Do you have a burning desire? Are you willing to fail? If so, you are well on your way to succeeding. People who have become successful in changing the world have successfully conquered themselves first. They have transformed themselves from arrogant to humble, lazy to hardworking, negative to positive, unhappy to happy, ungrateful to grateful, pessimistic to optimistic, and unlikeable to likeable. They have become people who never quit as opposed to people who give up easily. As part of the process of changing poor qualities to strong ones, they constantly think and behave like winners. Think big and dare to dream. Give without expecting anything back. Be persistent even when it all looks too hard. Speak positively about yourself and others. Never stop learning. Smile even when no one is watching. Demand excellence from yourself. Take responsibility for everything that happens. Practise integrity, always do what you say you will. It’s all about passion, self-confidence, resilience and that dogged quest for success. Nothing can stand in your way and no one can stop you. You can become that unstoppable runaway success train. Keep persevering no matter how hard it gets along the way. Never stop trying, no matter how painful it feels or how unpopular you become. Just put one foot in front of the other until you get to where you want to be. Along the way you may be laughed at, your intentions will be second-guessed and you will be told you’re fighting for something that doesn’t really matter. Do you keep moving towards where you want to be, or do you drop out of the race? Today can be your day to begin your success journey. One thing is certain. At some time on our journey we will all experience some form of adversity. It is at this time that we need inner strength and resilience to conquer these challenges, come back and become the victor. Remember, whatever adversity we encounter, it is temporary and success is a given. But that’s only if we decide that. Over the years I have experienced my fair share of life-altering situations. Although it can be difficult to sustain a positive attitude while working through adverse situations, we will encounter our greatest strengths deep down by working through, and learning to find purpose and meaning, in these circumstances. I have lived at the coal face my entire life, an unconventional and full life, filled with enormous success, happiness and adversity. I am fortunate that I have been able to experience life and achieve what I set out to accomplish. I have been an entrepreneur almost my whole working life and I live daily with the entrepreneurial spirit – passion, perseverance and persistence. Each time I arrive at a T-junction, I know it is just one step closer to the top of the ladder. Instead of curling up in a ball and waiting for time to pass, I think about today and the inevitable success and happiness that lie ahead. This eases the pain and frustration. Overcoming the difficulties in my life was tough, but the hard times got my attention, released me from self-centeredness and prepared me for a meaningful future. Most of my business ventures over the years have revolved around conceiving and developing projects, specifically exhibitions, publications and special events. 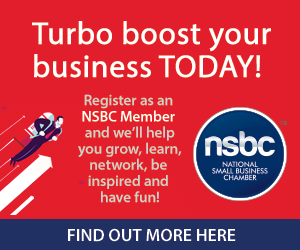 After selling out to an international organisation, and the tough times I encountered, I realised that I was well positioned to do something extraordinary with my life, and that’s when the National Small Business Chamber (NSBC) was born. I have committed my own future to Small Business South Africa through what I do today as Founder and CEO of the NSBC, a non-profit organisation dedicated to the success of small- to medium-sized businesses. Its real purpose is fostering the sustainability and growth of the SME sector, driving job creation, alleviating unemployment and nurturing the country’s entrepreneurial spirit. The organisation was founded in June 2007. I was motivated by my burning desire to utilise my experience in a meaningful way and to make a positive difference to others. The NSBC would allow me to achieve this goal. The NSBC quickly became the fastest growing organisation of its kind in the world and we will never give up on our quest to remain so. The high growth rate and incredible successes are based on the secrets within this book. We have a committed and talented team. We are not afraid to innovate and challenge the status quo. We think big and do big things. We surround ourselves with the best. We never accept ‘no’ as an answer. Through incredible opportunities, I have been fortunate enough to meet many of life’s most successful people, the mega-entrepreneurs. Those like myself who have gone from zero to hero; many back to zero again and then once again catapulting back to hero status. My ongoing goal is to understand these mercurial individuals and then communicate to others what it takes to go from zero to hero! To download the new 2016 complete digital copy of Never Surrender – Become Super Successful NOW, register as an NSBC Member today and go straight to the Member Zone.